This op-ed by AWB’s Executive Director Tyler Gregory was originally published in The Advocate. Yesterday’s vicious anti-Semitic attack in Pittsburgh was a cowardly act of a man acting alone. Yet his radicalization, like the “MAGA-bomber” days before him, had obvious accomplices at the highest levels of power. Today’s political discourse is wobbling dangerously off axis, and to right its course we must train our communities, working hand in hand, to identify and destroy the finely-tuned dog whistles among us. Today’s dog whistlers intend to drive wedges between us and other communities. These dog whistlers, often people with great power and influence, are targeting their messages of hate at immigrants, people of color, women, LGBTQ people, and Jews. They hope that we will remain separate and divided, and therefore without the power to effectively fight back against the forces of hate they are mobilizing against us. Consider the shared experiences of the LGBTQ community. Matthew Shephard, killed in a brutal attack 20 years ago, was finally laid to rest in the National Cathedral. His murderers too were driven to violence by homophobic sludge from dog whistles. Similarly, the Pulse Nightclub shooting sent reminiscent shockwaves through our LGBTQ community as the Pittsburgh shooting is today. 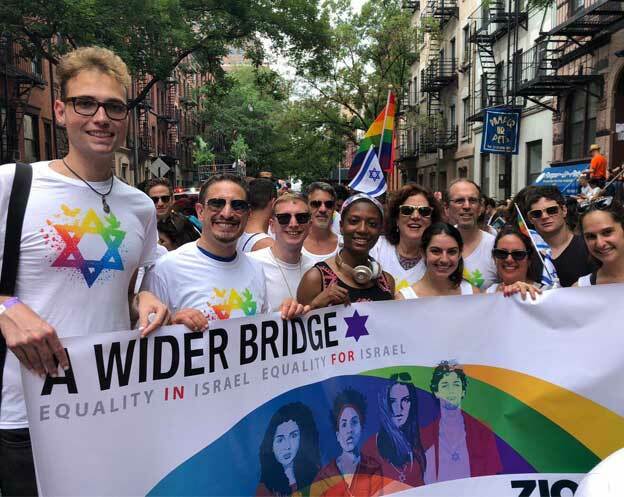 A Wider Bridge is building these bridges through the shared experiences of our LGBTQ and Jewish communities. We call upon our Jewish communal partners to learn from our platform to build bridges with other communities that need our support. Take it from the LGBTQ Community: it’s much harder to hate us when you know us. 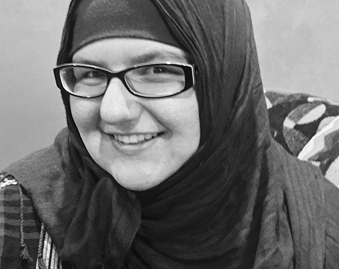 Anti-Semitism can be more difficult to unpack than other forms of oppression. Anti-Semitism is not bound by privilege. Jews are oppressed when rendered powerless in ghettos, and Jews are oppressed when assigned “too much” privilege, influence, or “control.” We are targeted both as perpetuating the 1%, while corrupting the 99%. Anti-Semitism is not bound by self-determination. Jews were oppressed for millennia before achieving statehood, and today with the Jewish and democratic state of Israel, we are constantly targeted and delegitimized on the world stage merely for existing, while we as individual Jews around the world are held liable for the decision making of the Israeli government. No other citizen, or non-citizen of a national descent, is held responsible for the policies of a government they may or may not have supported. Anti-Semitism is not bound by ideology. For our parents and grandparents, the political spectrum was not linear, but bent like a horseshoe, when the far-left Soviet Union and far-right fascist Europe turned against Jews in their midst. Today’s political spectrum has not changed its shape. “Jews will not replace us” on the right, “from the river to the sea” on the left. Tiki torches on the right, Burning Israeli flags on the left. The anti-Semitism of the far left and right sound and manifest differently, but the intent is the same. Together we can only confront these dog whistlers targeting Americans and turning us against each other by working across political and ideological lines. 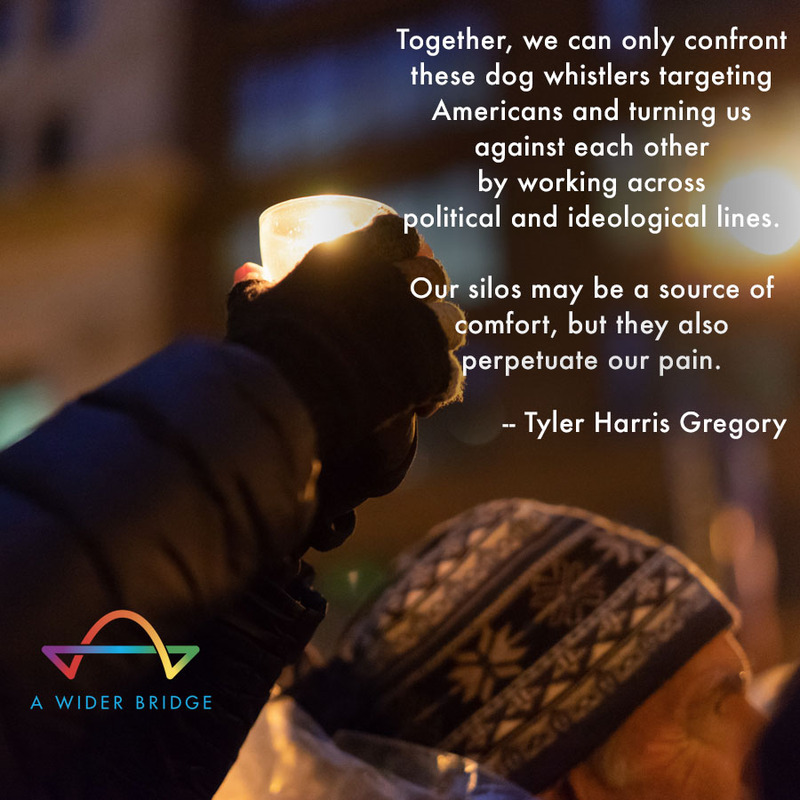 Our silos may be a source of comfort, but they also perpetuate our pain. May the memories of those killed at the Tree of Life Congregation inspire us to create a better, more just world.